The school holidays are a lovely excuse to frequent bookshops, and here are just some of my favourite bookstore finds this month. I hope these make your heart thump as much as they did mine. 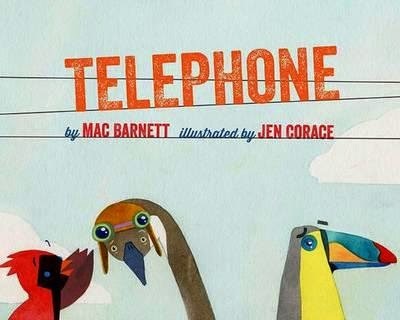 From one of my favourite picture book authors of all time, this brilliant story follows the Chinese Whispers conundrum to peak performance, with superb illustrations and plenty of hilarity. A truly spectacular combination of text and image. Gotta love Little Mouse. 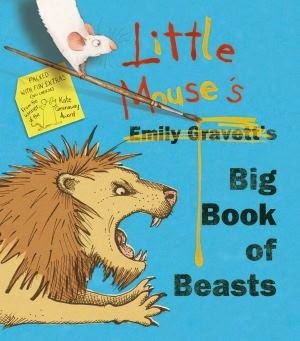 After the success of his Book of Fears, it's no surprise he's yet again hijacked Emily Gravett's Big Book of Beasts and called them his own. From sharks and bears to wasps and crocodiles, this is a typical visual Gravett, er, Mouse, feast. The book pops with lift-the-flaps, peek-holes and mini booklets that are absolutely enchanting for any age. Warning: a new Super Team has arrived. They made this book. And lo, it is good. It's so good, they've already become a new fave. Bear wants some sleep. But Duck is clueless and keeps dropping by just as Bear is drifting off. Duck can't get the hint, and Bear is too polite (at first!) to send him on his way. I smiled, I giggle, I guffawed and yes, I LOLd with this book. And the illos are scrumptiously squirm-worthy. More, please. Yes, you may have guessed I'm a Gravett fan. I just love her ability to combine simplicity with depth of meaning and childhood whimsy. Stunning illustrations also help. 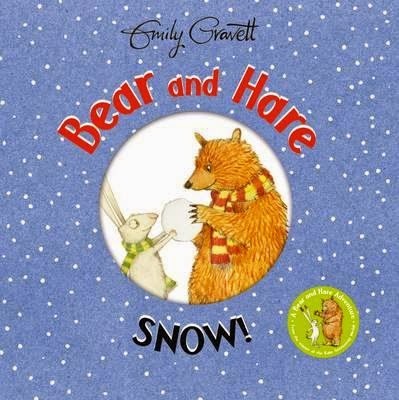 Bear and Hare are back from their fishing trip, and are on a snow bender that quite simply showcases the everyday magic of childhood. Title: Bear and Hare: Snow! 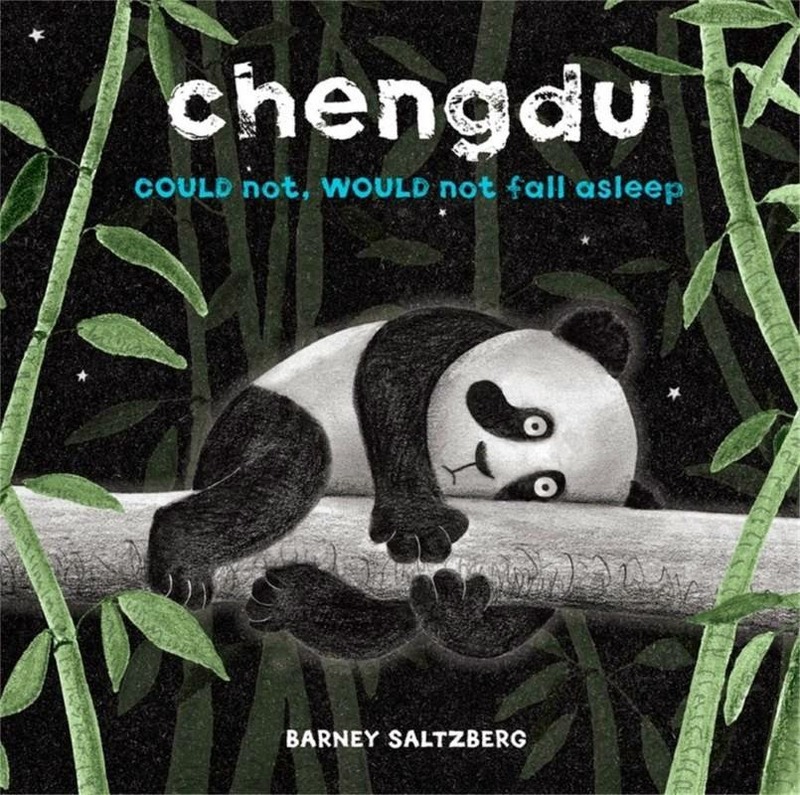 I've long loved Barney Saltzberg's work (see our reviews of his other books here) and Chengdu is such a departure from his other illustrations--it surprised (and thrilled) me. 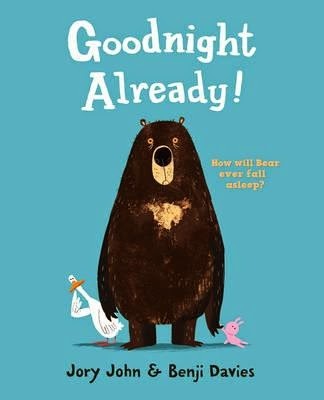 Featuring lift-flap pages and a deep-seated humour that will demand many a repeat-read, this is brilliant bedtime reading. 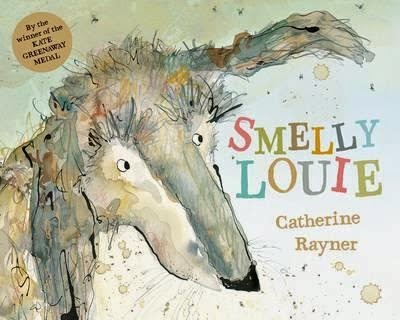 From the author of Iris and Isaac comes a new animal friend-- Louie the Smelly. Who LIKES to be smelly. It's no roses and apple blossom for him. He wants his own special smell back! Vibrant, divinely spattered watercolour illustrations are a feast for the eyes on this journey of reclamation.